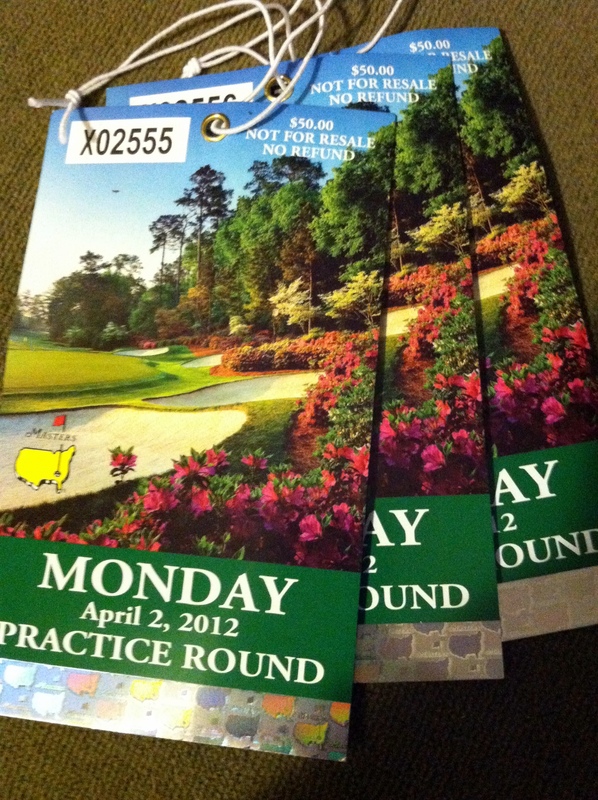 If you’re reading this and don’t live in Augusta, I’m going to assume that you’re a golf fan. If you’re not a golf fan, you’re probably married to one anyway. It’s not that there aren’t other reasons to come to town. It’s just that no one in their right mind would be here this week, braving the crowds, if they didn’t have any plans to hit the tournament (read: tunamint). Most people who stay do so because it’s a great week to live here. There certainly are complainers, and everyone tries to avoid the traffic, but it’s basically just one big adult spring break. Having beer during the day is more acceptable than usual. We usually offer perfect weather, although the pollen will be out of control. We move our televisions outside, eagerly anticipating the afternoon coverage. Please, forthelove, do not wear jeans (or worse, jean shorts) to the golf course. I’m not asking that you get all fancy or anything, but respect the sport. Khaki pants or shorts and a collared shirt for the guys, and dresses, skirts or nice shorts for the ladies. We like to call it Southern casual. Wear shoes you can walk in. ‘Cause you’re gonna walk a lot. Speaking of shoes, ladies, leave your fancy heels at home. It’s completely acceptable for women to wear running shoes with a sundress. You’ll see people in golf shoes, too. Although it doesn’t bother me, I don’t get it. If Tiger needs a little help on the sixth green, I guess you’ll be ready to step up. If it rains, you’ll be glad you listened to me. I’ve had many friends who wanted to wear cute shoes to match their outfit. They were the first ones to slip and fall in the stinky mud out there. If that happens, I can promise that none of your friends will leave the tournament, so you’ll be forced to walk around with what looks like a bad potty accident on the back of your precious sundress. With Tiger having just won Bay Hill, he’s suddenly a favorite, which makes the week even more fun. Like him or not, golf is more exciting when Tiger’s playing well. But please, don’t cheer for him like you’re at a wrestling match. Don’t get me wrong. There’s nothing better than the loud roar that follows a flawless putt. It’s the “Get it in the hole!” or “You da man, Tiger!” as soon as he tees off that is borderline offensive. Just about everyone will treat you with respect, kindness, and southern hospitality. When done well, there’s nothing better. Please wave back, say thanks, and don’t be afraid of conversation with a stranger. Ask for directions. We want to help, and especially this week, we love showing off our town. Otherwise, have a big time. Enjoy our restaurants and bars. Relax in our houses, and know that hours went into making it your home. Also know that the azaleas were much more impressive a week ago. Eat an egg salad or ten, and remember that a beer held too long will only get warm. Welcome, y’all! Sounds lovely! Wish I was there.